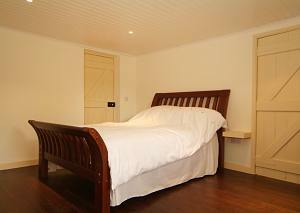 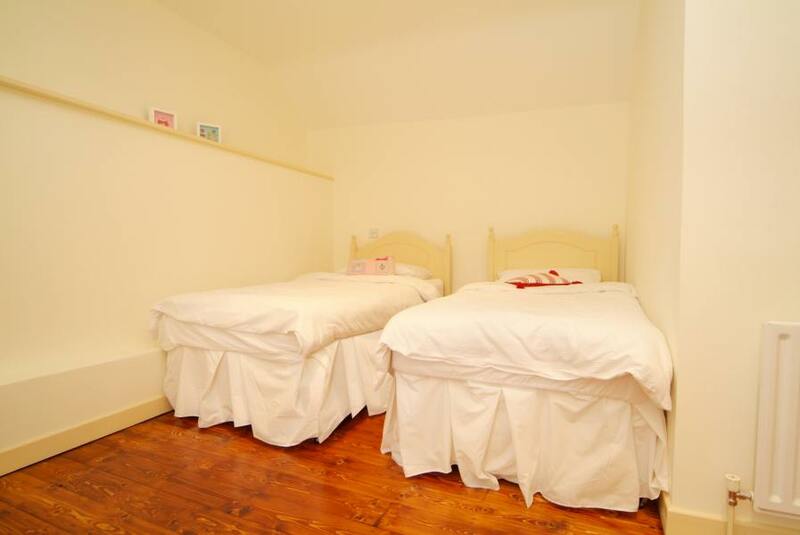 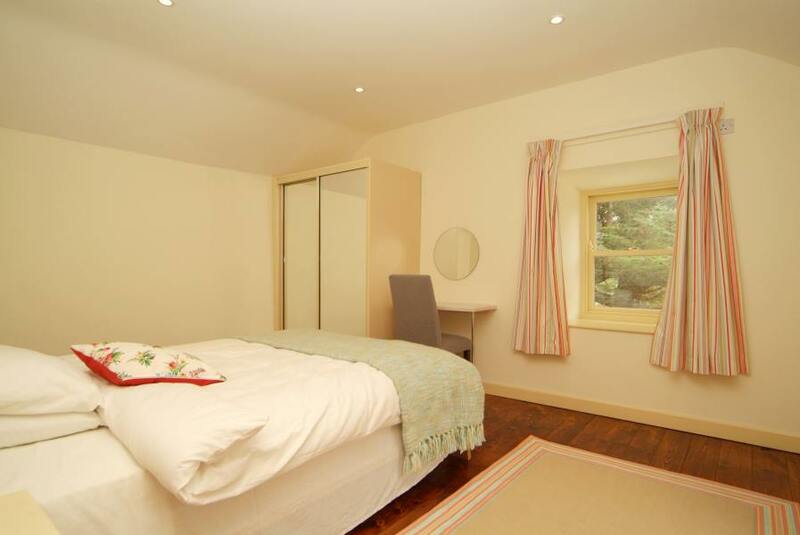 - ideal as a refuge from your normal routine or a romantic weekend break! The big double oak bed is so inviting after a day of watersports, walking along the coast or just a few pints in the local pub -- especially with a roaring fire at its foot. 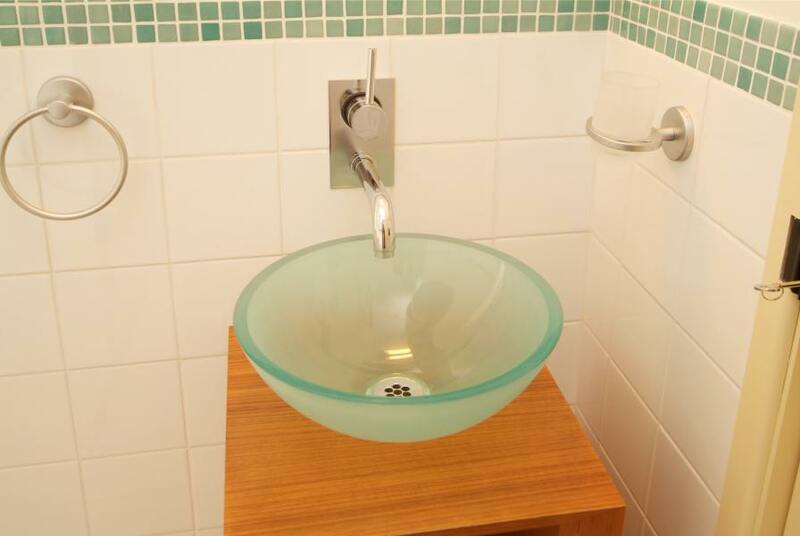 The ensuite bathroom offers the most modern décor and style with its glass bowl sink unit and bath/shower. En-suite with glass bowl sink unit and bath/shower. 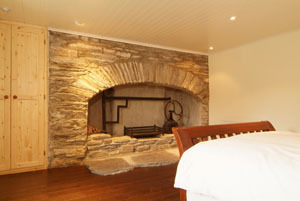 No other Cork cottage to rent offers such a luxurious standard of accommodation in such a private, exclusive location. 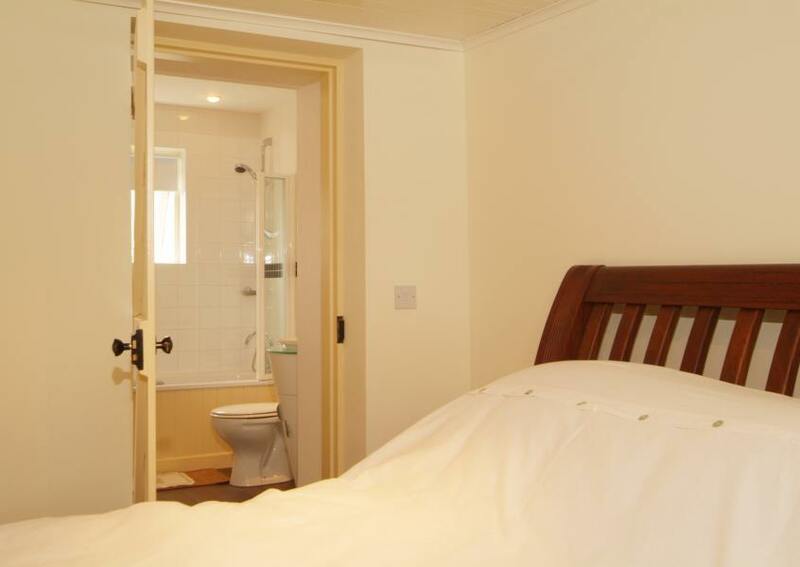 This holiday cottage to rent has two additional bedrooms on the first floor that share a bathroom on that floor and feature Black Oak Floors and Laura Ashley Curtains.